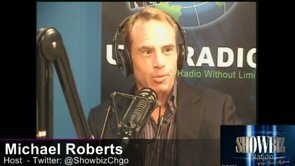 Actors’ Equity Association, the union representing stage actors and stage managers, turns 100 years old in 2013. 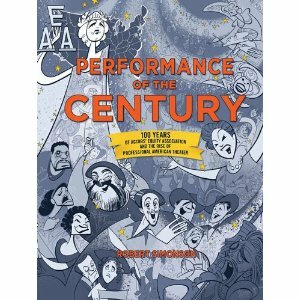 The yearlong commemoration of Equity’s 100 years of advancing, promoting, and fostering the art of live theater will take many forms, among them this resplendent book, Performance of the Century: 100 Years of Actors’ Equity Association and the Rise of American Theater by Robert Simonson (Applause Books, September 2012, $42.50). Founded in 1913, Actors’ Equity became a force to be reckoned with in an historic 1919 strike – the most entertaining and dramatic (naturally) the nation had ever seen. Since then, Equity has gone beyond securing the safety, health, and rights of stage actors to become a progressive force in theater. In Performance of the Century, Simonson recounts how Equity stared down not only obdurate producers, but also segregation (on and off the stage), the political turmoil of the blacklist years, and the challenge of the AIDS epidemic, when its members formed what would become Equity Fights AIDS. Equity has entertained the troops of several successive American wars in USO Shows and the Stage Door Canteen, and it has fostered the spread of stage culture throughout the land, from the productions of the Depression-era Federal Theatre Project to the Equity Library Theatre, which offered the classics to the public at bargain prices. It witnessed the Little Theater Movement’s growth into the regional theater movement and was there when Broadway begat Off-Broadway and then Off-Off-Broadway. Lavishly illustrated with historical images and stunning photographs,Performance of the Century is a window on not only the Union’s glorious past, but on that of American theater itself.